Proficient Blogging | Make Better Decisions! Comprehensive, data-driven advice to help you make better decisions. During the past few months, we reviewed and ranked over 50 premium antivirus suites from from the biggest names in cybersecurity, so you can get the very best antivirus protection in 2019. Some of the factors we considered are features/utilities, malware protection capability, impact on system performance, user interface, and price. Overall, Bitdefender is our top antivirus recommendation in 2019, because of how well it performed in the recent independent lab tests conducted by AV-Test and AV-Comparatives. McAfee and Kaspersky, in the order, complete our list of top three products. Below, we have listed the top three antivirus packages of 2019. 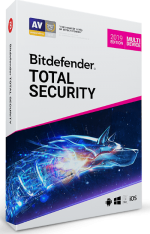 Bitdefender Total Security 2019 is a high-end security suite that includes all the advanced security-related features and utilities you can expect to find in a full-fledged antivirus package. Plus, independent lab tests prove that it offers top-of-the-line malware protection with very minimal impact on system performance. You can protect up to five devices (PCs, Macs, Android or iOS) with a single license of the suite. McAfee Total Protection combines advanced protection-related features with top-drawer identity and privacy protection. It is compatible PCs, Macs, smartphones, and tablets. 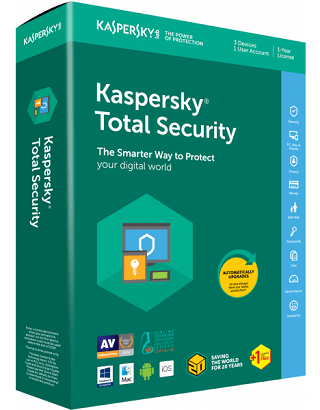 Kaspersky Total Security is an advanced security package that boasts a diverse set of features and options to protect your data and privacy. It is compatible with PCs, macOS, Androind, and iOS. Why do I need to pay for an antivirus software? advanced malware infections, like cryptoware. You should never take chances when your security and privacy is at stake. 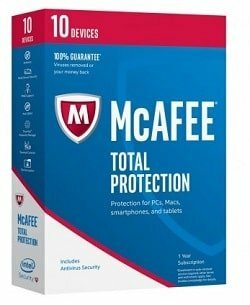 Which antivirus product is right for me? During the past few months, we spent over 100 hours evaluating more than 50 antivirus suites from the biggest names in cybersecurity. Overall, we found that Bitdefender Total Security 2019 (currently at 50% off) is currently the best antivirus suite you can get in 2019 in terms of value for money. Along with providing excellent protection against all sorts of malware threats, it offers all the premium protection-related features and extra utilities that should be there in a high-end security suite. Plus, a single license of the suite protects all your devices (PCs, Macs, Android, and iOS). Disclosure: Our editors maintain strict editorial integrity and review products independently, but we may earn a small commission if you buy through our links (at no extra cost to you). This helps pay our bills and make this website a free service for everyone.